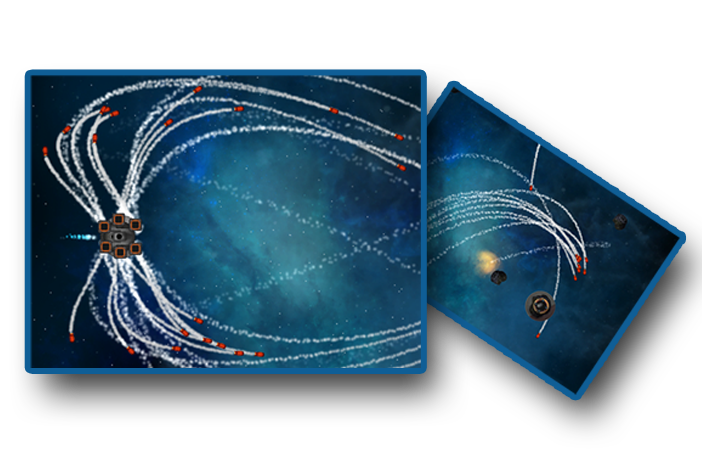 The 2D homing missiles asset for Unity uses a proportional controller algorithm to ensure that missiles track targets in a very realistic fashion. Only two script components to worry about. One for your missile GameObjects and one for the objects that launch missiles. Built-in object pool manager ensures high performance and good FPS on mobile devices. 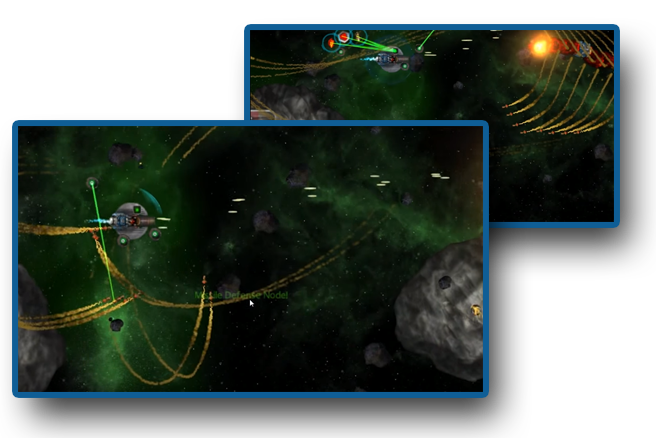 A custom editor allows you to make your own missile launch configurations, and change how missiles launch and perform. The 2D Homing Missiles asset for Unity has tons of features and customisation options. Here are just a few highlights. Proportional controller algorithm for smart tracking, realistic homing missiles. Lots of customisation options and tweakable settings. 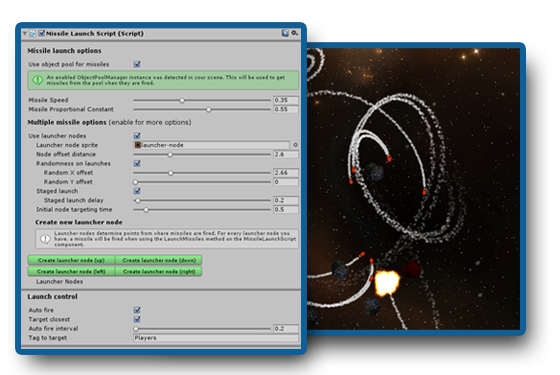 A custom, feature rich built-in editor is included to make creating your own unique missile launch setups easy as pie. Simple process to add missile launch points to your GameObjects for multiple-missile configurations, or even just single launcher configurations. Normally, missiles should never move directly towards their targets, this is not how they work in real life. Too many times we see simple missile follow scripts being used to allow missiles to track targets. 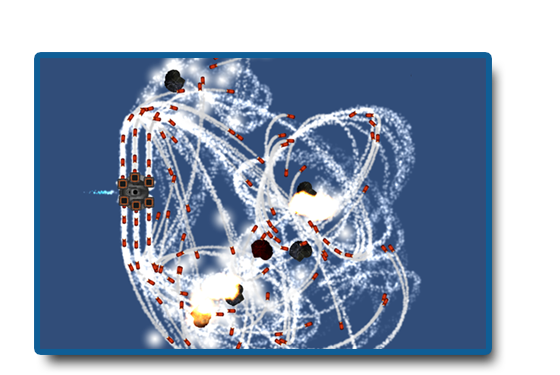 2D Homing Missiles for Unity does things the right way, and provides you with realistic missile movement via it's use of a proportional controller algorithm. A desired state is constantly fed to each missile's controller, as their targets move, steering the missiles in the right direction in order for them to reach their targets with realistic flight paths. This results in super realistic (and entertaining to watch) missile patterns.